Taperstick, William Cafe, 1761-1762, National Maritime Museum (UK). What I wouldn't give to have this on my dinner table! 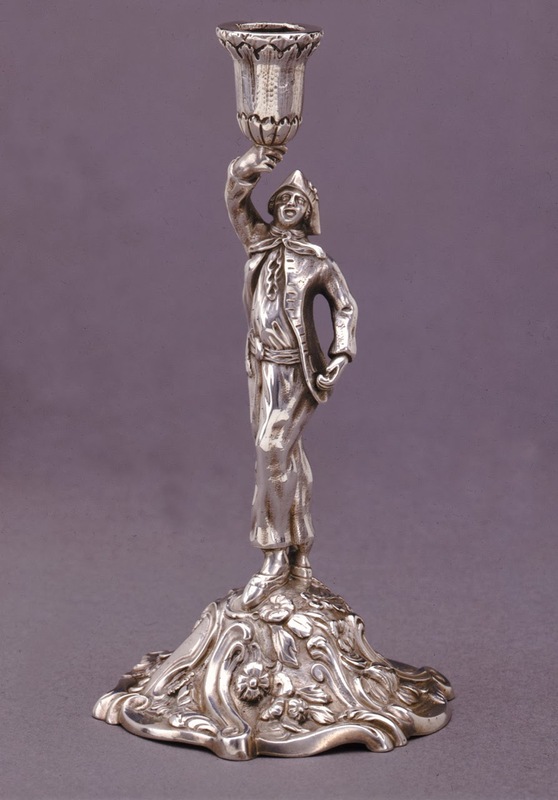 Made from cast silver, this candlestick may have been part of the commercial commemorations of British victories at sea during the Seven Years War/French and Indian War. 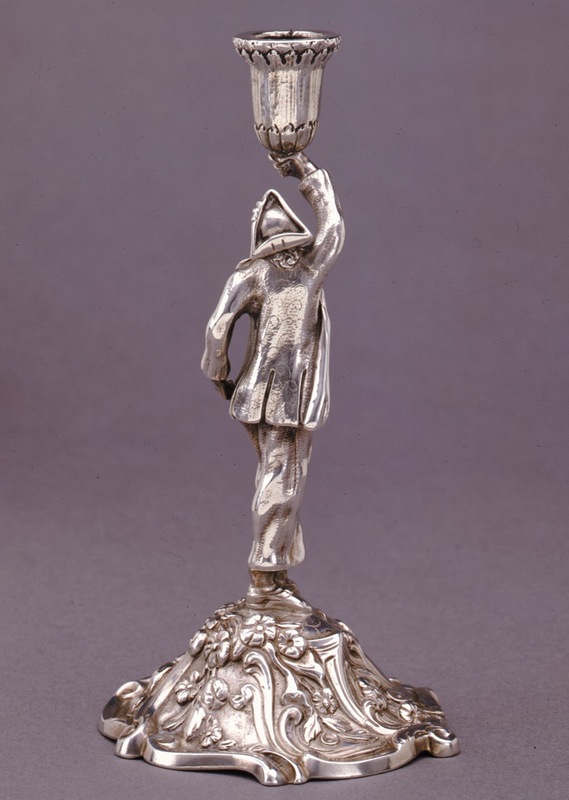 The National Maritime Museum offers that this may have been part of a matched pair featuring a sailor and "his lass." This certainly would fit with the many porcelain figures of the time that featured just such a pairing. The sailor here wears a cocked hat with a cockade on his left and the point to the front. His neckcloth is fitted tightly about his neck, but hangs long down the front. The jacket is quite long, typical for the 1750's and 1760's. It is single breasted with flap pockets at the waist, and no cuffs or collar. There are three vents in the back of the jacket, along with some decorative metalwork. Our tar is without a waistcoat, though the neck of his shirt looks fancier with a bit of ruffling down the front. Around his waist is fitted a sash of some sort, tied to his right. Trousers end just above the ankle, and he wears pointed toe shoes. Excellent! Could I have your permission to use the image on your page (with direct attribution) to update this post?